The Millennial generation is often at the front of controversy among statistics, economic studies and news articles for being drastically different from the generations before them. News outlets often cite Millennials for downturns in economic sectors including chain restaurants and the housing industry, or rises in other industries including live events and coffee. Although no generation behaves the same as the last, Millennials are attributed to changing much in America due to their sheer size. As the youngest Millennials will turn 18 in 2018, it is growing important to learn about their spending habits and purchasing preferences. Millennials, also referred to as Generation Y, are currently between the ages of 17 and 36 and one of the first generations to spend their formative years online. At 83 million people, Millennials account for a quarter of the population of the United States, making them the largest living generation. Like every generation, Millennials are characterized by sharing similar worldviews, habits and traits. As many Millennials are graduating from college with financial responsibilities, including debt, they have a growing obligation to act more responsible with their money and spending habits. Millennials are expected to accrue more wealth by the year 2020 where they are trended to spend $1.4 trillion. As Millennials pay off loans and get better jobs with higher salaries the spending habits are expected to change. 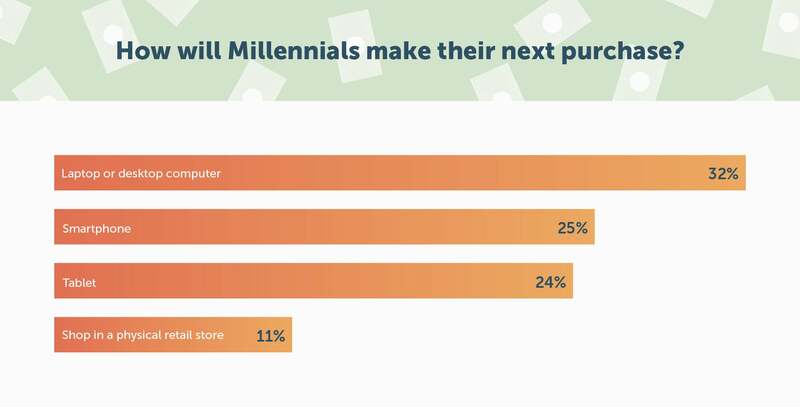 As the most connected generation, Millennials are leading the pack in online purchases. With convenience and price at mind, online outlets offer more value to the average Millennial shopper. 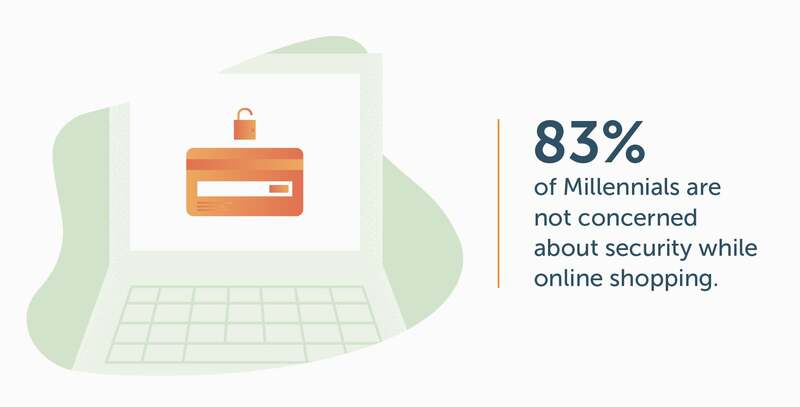 Unlike older generations, Millennials are not concerned about security when completing transactions online. 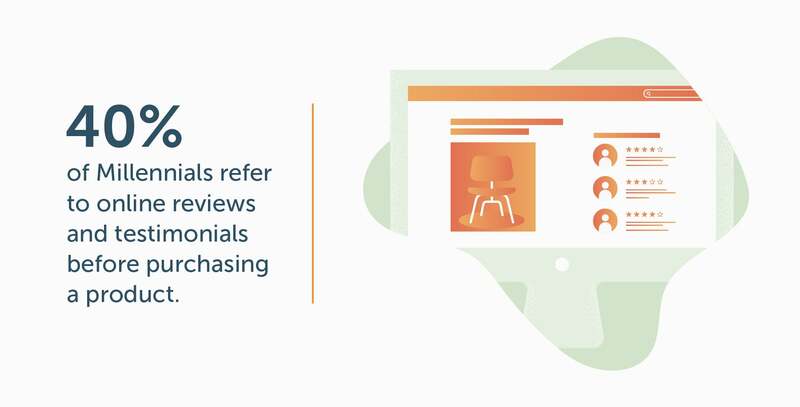 40 percent of Millennials refer to reviews and testimonials before purchasing any products, and the number is even higher when they are purchasing products online. Millennials are also using subscription services to replace regular shopping trips to grocery stores and other bricks and mortars. During a UPS study of Millennial shopping habits, only 11 percent of Millennials reported they will make their next purchase in a physical retail store. 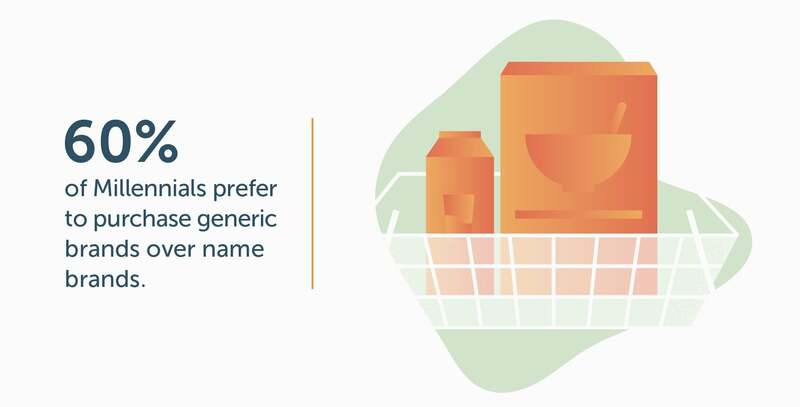 They also favor generic store brands over name brands if it means saving money. How Will Millennials Make their Next Purchase? Millennials prefer brands who offering a unique experience, value for their money and great customer service. Although many brands have credited Millennials for a downturn in business, 60 percent of Millennials stay loyal to brands they purchase. Millennials also cite an importance in giving back to the community and expect the brands they follow will do the same. As Millennials prefer experiences over things, they heavily weigh a brands customer experience into their perception of a brand. With 74 percent of Millennials reporting that they will switch to a different retailer or brand if they have a negative experience, it is important for companies to focus heavily on making sure their customer is satisfied. Millennials overall are responsive to advertising if it is relevant. However, the intrusive nature of some advertisements leads 63 percent to use ad blockers online. Although the majority of Millennials use ad blockers while online, they still are receptive to some marketing ads. Many prefer in-feed advertisements so long as they do not disrupt the overall experience of a website. As Millennials prefer online entertainment over traditional cable or television, advertising to the demographic has adapted to become more specific. With the power of online advertising and cookie history tracking targeting users by age, gender and other demographics is possible. Although it is easier to reach Millennials online only 6 percent believe that online advertising is credible. Millennials are heavily burdened with debt from student loans, credit cards and other lending sources. As many borrow large sums of money to pay for education, Millennials carry over $1 trillion in student loans. This large debt has a large impact on Millennials as home ownership is down among the demographic and over 52 percent are concerned about defaulting on their loans over the next 12 months. As Millennials will soon become the largest living generation in America there is a growing need for brands and companies to pivot their sales tactics and marketing approaches to the demographic. 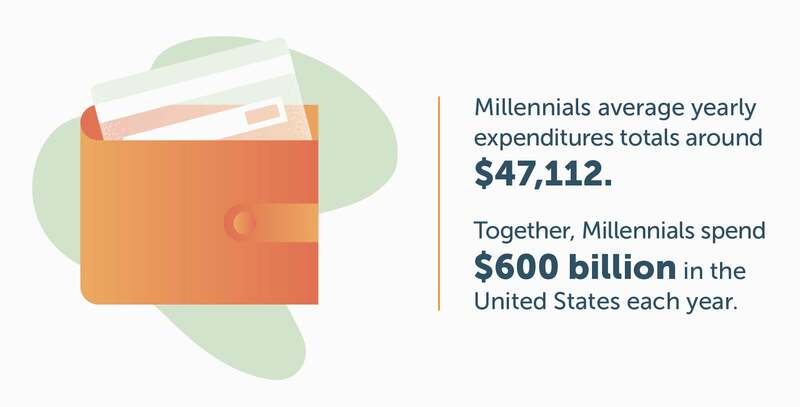 The full impact of Millennials purchasing power and brand preferences will come into full effect in 2020 when their purchasing power is projected to reach $1.4 trillion. 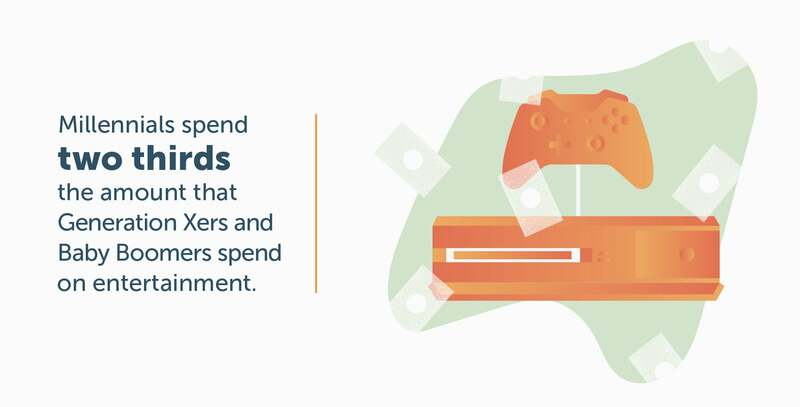 With Millennials becoming a major part of the US economy it is important for brands to stay educated on the spending habits of this growing power house.